DNA was first isolated more than a century ago, and today DNA isolation is considered a fairly routine process. Unique challenges can still arise, however, depending on organisms and tissue types used. 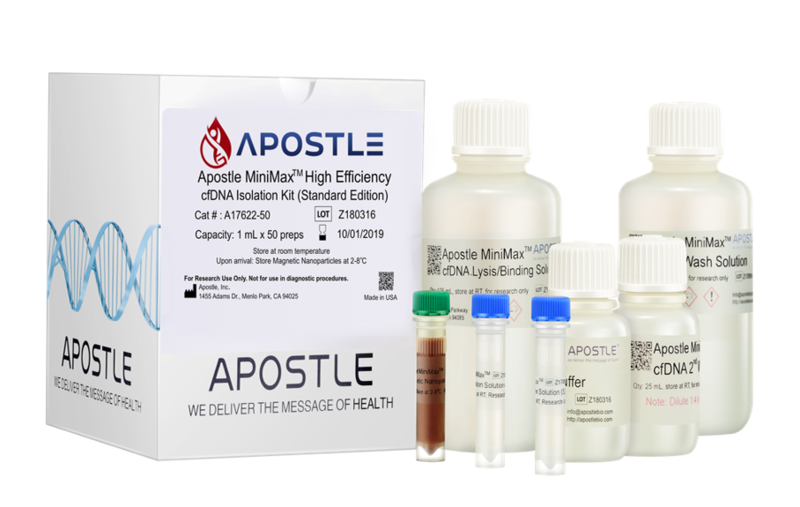 And because DNA quality, integrity and yield invariably affect the outcome of subsequent experiments, it’s important to choose a reliable DNA isolation technology. Just as important are the flexibility and scalability of the technology you select. That is what isolates Beckman Coulter reagent kits from the rest. 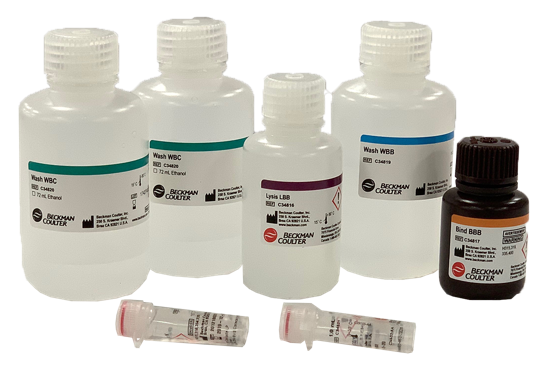 These kits enable high recovery of high-quality DNA from whole blood, plasma, and fresh or frozen tissue. And they deliver consistently reliable results for low-, medium and high-throughput applications. GenFind V3 isolates and purifies genomic DNA (gDNA) from whole blood. 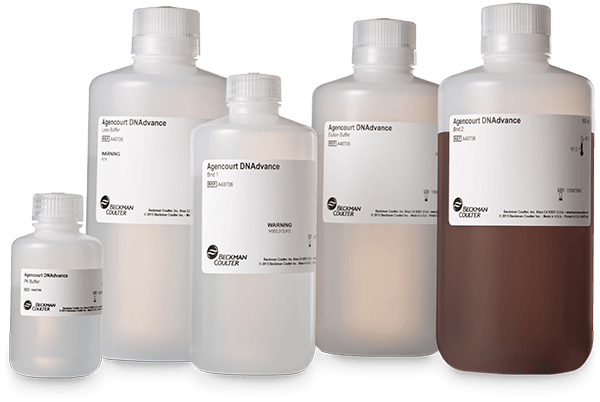 Agencourt FormaPure DNA is an extraction kit to isolate nucleic acid from formalin-fixed, paraffin-embedded (FFPE) tissue samples. 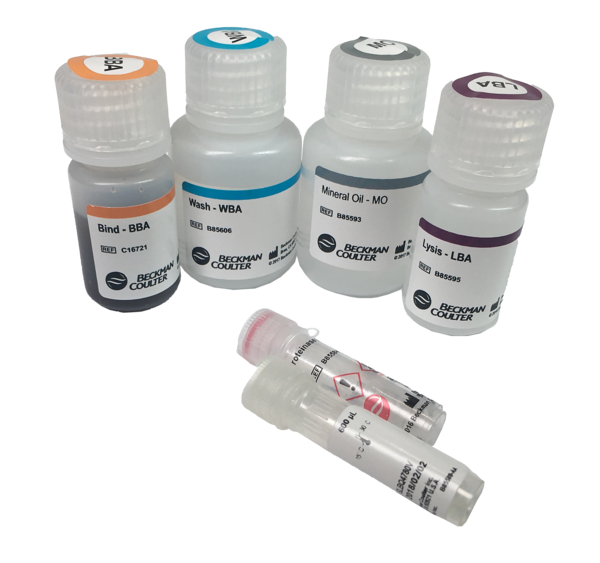 Agencourt DNAdvance is a high-throughput genomic DNA (gDNA) isolation reagent kit enabling the purification of high-quality DNA from mammalian tissue samples. 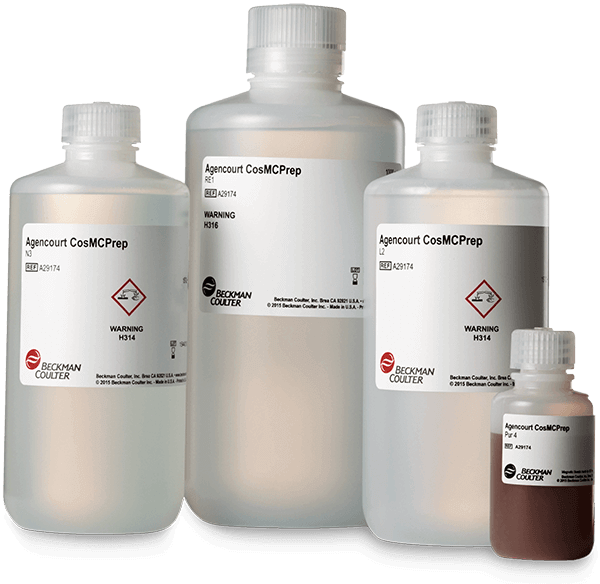 Agencourt CosMCPrep is a Solid Phase Reversible Immobilization (SPRI) paramagnetic bead-based purification system that uses a single protocol to purify a variety of high- and low-copy number template types.